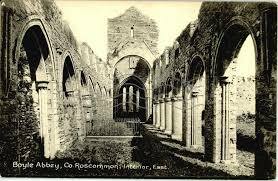 Congratulations to Boyle Abbey which has been chosen as “monument of the month” for March by the National Monuments Service. The announcement is part of an ongoing campaign on the website of the National Monuments Service which provides a resource for people who’d like to learn more about Irish monument. The historic building will be open from the end of March to the end of September so do make a point of taking a visit and let’s help spread the word!